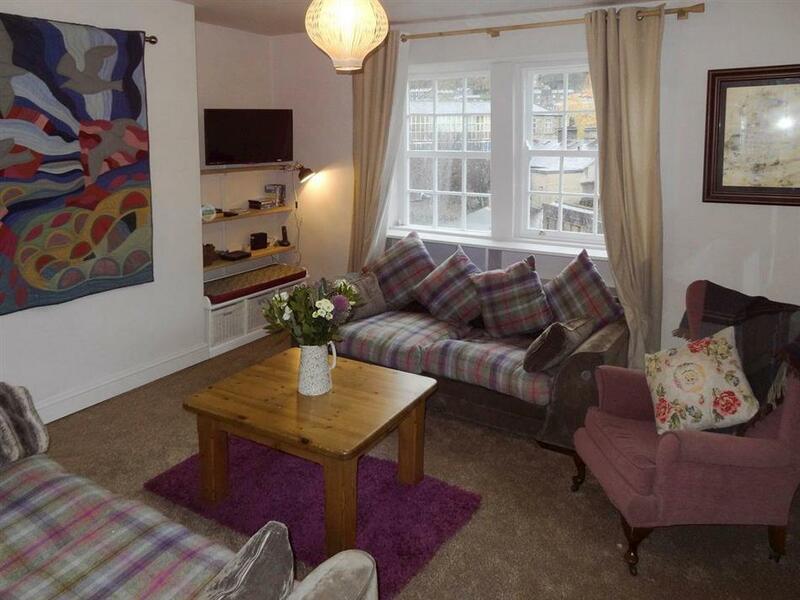 Birkenhead Cottage in Hebden Bridge, Yorkshire sleeps 6 people. 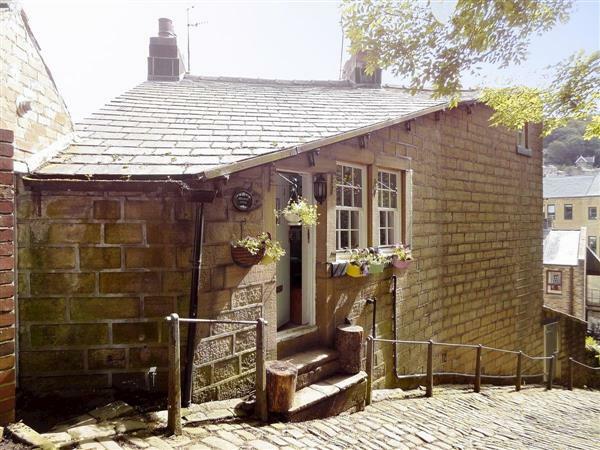 Birkenhead Cottage in Hebden Bridge is a spacious and traditional over-dwelling set on an old, steep, cobbled pack horse road. Once inside this beautiful cottage, its character and charm is truly reflective of colourful and quirky Hebden Bridge, whilst outside the fabulous split level garden covers ¼-acre and offers far reaching views over the surrounding area. For true Hebden Bridge enthusiasts or those wanting to give their cars a rest, the location is unrivalled, as although on a quiet street, all the facilities of vibrant Hebden Bridge are on your doorstep. There are bars, cafés, independent shops and even the old cinema where they serve tea, are all within easy walking distance. Hebden Bridge train station with its wonderful old Victorian style, features in the 2017 Penguin Viking book ’Britain’s 100 Best Railway Stations’ by Sir Simon Jenkins. The station is just ½ mile from the cottage and offers direct links to Manchester and Leeds, as well other Calderdale towns and villages. Hebden Bridge is an attractive Pennine town with a canal side location. As the UK’s first ‘Walkers are Welcome’ town you can appreciate the area is excellent walking country, with the National Trust owned Hardcastle Crags and Britains long distance walking path, The Pennine Way close by. As featured on the second stage of the 2014 Tour de France and the 2015 Tour de Yorkshire, superb cycling is also available, together with scenic drives around the magnificent countryside that has featured in popular TV shows and inspired the Brontë sisters. Haworth, which was home of the Brontë sisters, can be reached in around 20 minutes, and it is approximately an hours pleasant drive to visit the stunning Yorkshire Dales National Park, or Holmfirth which was home to the TV series ‘Last of the Summer Wine’. The shop, pub and restaurant are 175 yards from Birkenhead Cottage in Hebden Bridge. Birkenhead Cottage has 3 steps to the entrance. Gas central heating, gas, electricity, bed linen, towels and Wi-Fi included. Travel cot, highchair and stairgate available on request. External utility room with washing machine and tumble dryer. Large, enclosed, tiered garden with 2 patios, garden furniture and barbecue. Bike store. On road parking; additional public car park. No smoking. Please note: There is steep, cobbled access to the garden with unfenced drops. Holidays at Birkenhead Cottage run from Friday to Friday. For a better idea of where Birkenhead Cottage is, you can see Birkenhead Cottage on the map below. Birkenhead Cottage is in West Yorkshire; should you be on the lookout for a special offer, you can find all the special offers in West Yorkshire. It's always worth checking to see what is on offer at the moment. Do you want to holiday near Birkenhead Cottage (UKC2788), you can see other cottages within 25 miles of Birkenhead Cottage; have a look to find your perfect holiday location.